While surfing through the internet, I stumbled on the fact that people seem to have issues with how to unhide apps on their infinix Android phones. Precisely the Infinix HOT 4. Hence, I’ve decided to write on how to hide and unhide apps on Infinix android phones. Hopefully this will help those with the issue. Most recent infinix android phones comes packed with a feature called xHide. It’s actually an app. XHide is precisely a part of the XOS UI ecosystem. By default, the infinix HOT 4 runs Android Marshmallow customized with XOS. By default, this comes with the xHide feature. At least, judging by a unit I still have within reach. There is also currently an option to upgrade the OS to Android 7 nougat which thus, comes with the XHide feature as well. The infinix HOT 5 and other latest devices from the brand on the other hand, also comes with xHide. Point is, the xHide is essentially useful if you want to hide files on your Android phone and only access them via code. It’s somewhat similar to Tecno’s freeze app feature but way better. This works in a way that, only the user with the xHide code, can access those hidden files. This app, is something I have come to really appreciate on Infinix android phones. After setting up the app for the first time, the app will no longer be seen amongst your apps on the app menu. The app can only be accessed via your already set code. Not only can you hide contacts and messages, you also hide pictures, videos, recordings and apps. What If You Lost Your XHide Password? How To Hide / Unhide files on Other Android Phones? Simply search through the app menu and locate the xHide (if setting up for the first time). Choose the files you’d like to hide and you are good to go. By default, the app is set to hidden. Meaning, the app won’t be seen amongst your apps on your app menu. However, you can choose to display the app amongst the app menu. Toggle the hidden mode off (grey). To return back to being hidden (which i highly recommend), toggle the hidden mode option ON (green). Thereafter, you will be asked to key in a dial code to activate. Simply dial the required code (##) and security pin. For example ##1234 where 1234 is the security pin. Dialing that code, the app should automatically start. Select the category. This includes communications, pictures, videos, records, and app hide. Select the files or apps you’d like to Unhide and follow the onscreen instructions. You should be good to go. Simply dial ##0 and input the answer to the security question asked. The security question in this case, is the particular one you set during the course of setting up the xHide app for the first time. There you have it. That’s how to hide and unhide apps and files on Infinix Android phones. 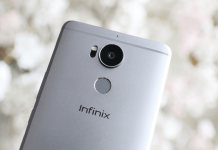 If using any other Android phone from an Infinix phone, there’s another step to doing so. Tap on the option (… in vertical order) button and select show hidden files. Move the files you’d like to hide to that folder. When done, tap on the option (… in vertical order) button again and select hide hidden files. At this point, the files under that folder will not be visible on the android device. To unhide, simply follow the same steps and this time, remove the files from the folder. There you have it. Being able to unhide and unhide apps and files on an android phone is that simple. Questions? Feel free to ask using the comment session. I can’t remember the security question i asked the day I hide it. how can i get over that because that is the problem am facing right now on that. cant find hide app on hot note 6. It only display picture, video and record. After hiding my apps say WhatsApp and Facebook, I realized that my pictures, audio are missing.. I had to unhide the apps but still can’t find them.. What should I do now? After updating my infinix note 4 to OS android Oreo 8.1, the new chide app came with only hiding of pictures, videos and sound records. Hiding of app is no longer there. 😥😥. Any solution for this, Samuel? I haven’t exactly tried using an Infinix Phone with Android Oreo update hence, I am not sure what to advice. 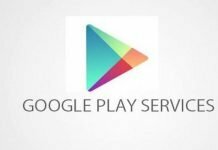 However, you may need to implore the service of a third-party app for this function. What do you think? Let me chip in this. For those of you using “True caller app” and you dial the code to bring back your Xhide… and sorry to tell you it won’t work. Use the native dialer your xhide will unhide. Thank you SAMUEL for the info. I can’t find my xhide app on my screen, where has it gone? Please do go through the post. It’s clearly stated there how to access the app while hidden. Did you experience any error during the course of doing so? Another option would be locking the app using fingerprint ID. This post explains how to do so. 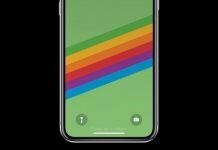 Comment:I dialed my password on the dialpad but the xhide folder is not popping up what should I do? If you properly go through the content, i stated therein, how to retrieve the app. I hid files, I then moved .xhidedata folder from root folder to another folder. I can’t view the files anymore, I moved .xhidedata back to the root folder and still can’t view the files, please help. Try removing the . before the file name and see how that goes. God bless you for this exposition. Indeed I was finally able to unhide my apps. You should squarely follow the tutorial. Therein, it states how you can retrieve your files and how to unhide the app.